A new study reveals that 1 in 5 teenagers wake up in the middle of the night to check their social media. 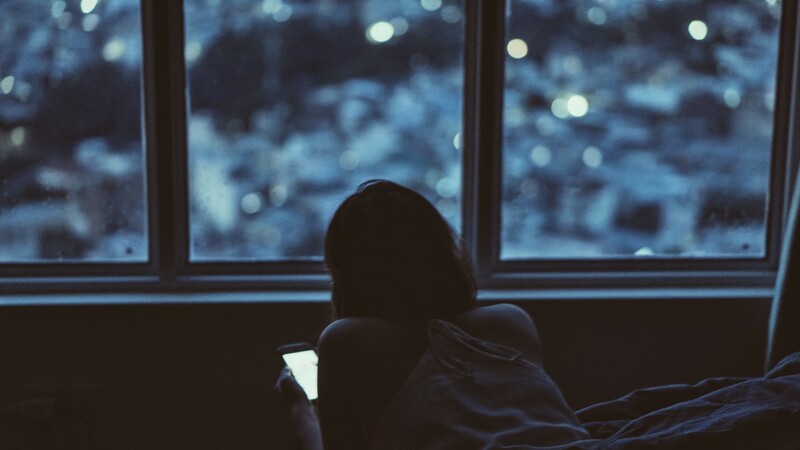 As many as one in five teenagers wake up in the middle of the night to check their social media feeds, a habit that could make them more tired — and more unhappy — than their peers who opted out of late-night “liking,” according to new research published in the Journal of Youth Studies. Researchers analyzed data from a four-year survey of children between 12–15 years old. More than 480 children answered questions about their social media use, consistency of sleep routine, and fatigue at school, plus general questions related to well being and friendships. More than 21% of 12–13 year olds reported “almost always” waking up during the night to check social media; 22.5% of the older group reported the same. This habit was more prevalent in adolescent girls; in the younger group, around 26% of girls reported always waking to check their phones, compared to only 16.5% of boys. Poor sleep is costing all of us — both literally and figuratively. And while social media is not the only culprit in disrupting sleep, bringing technology into the bedroom has been shown to have detrimental effects for young and old people alike — 71% of Americans reported falling asleep next to their phone, according to a 2015 survey.